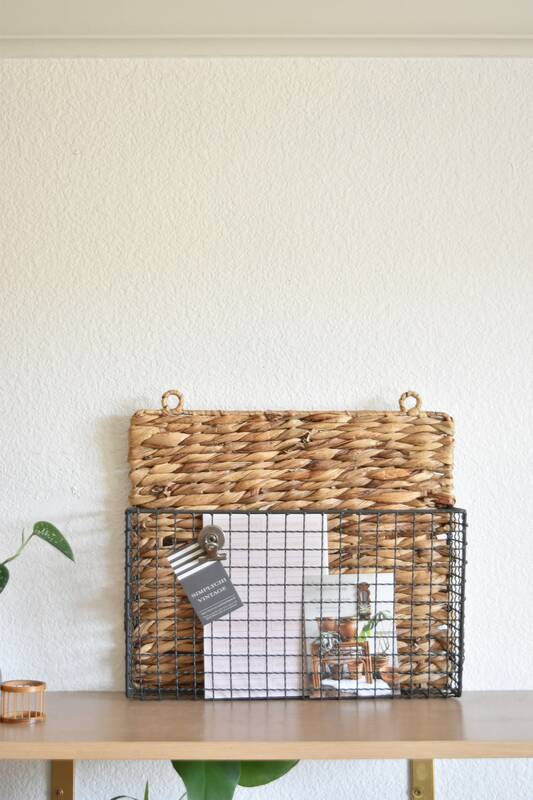 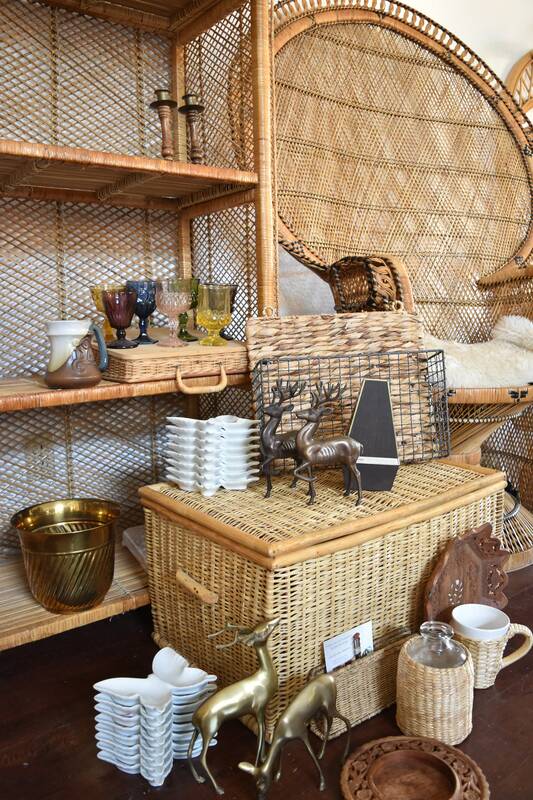 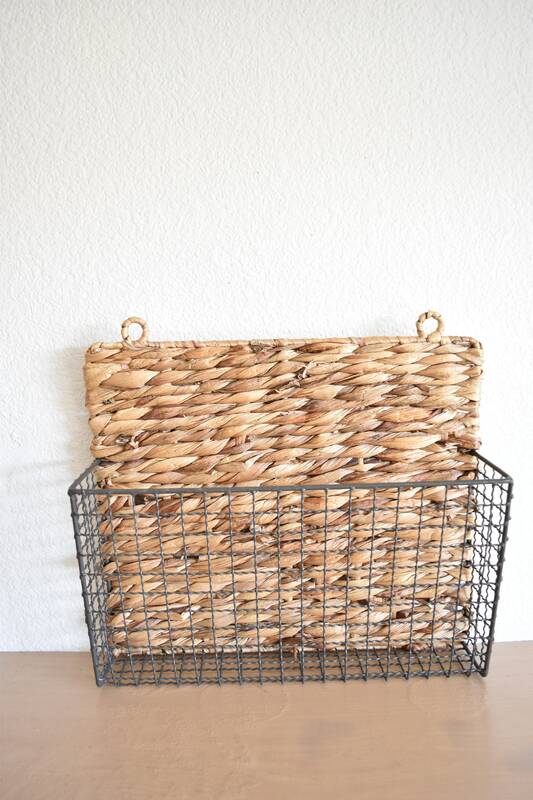 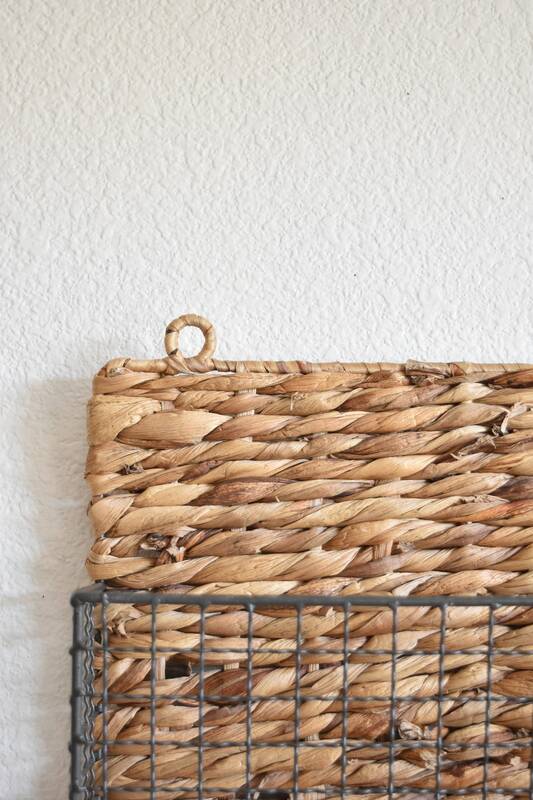 Pretty, thrifted, woven wicker wall hanging office file storage. 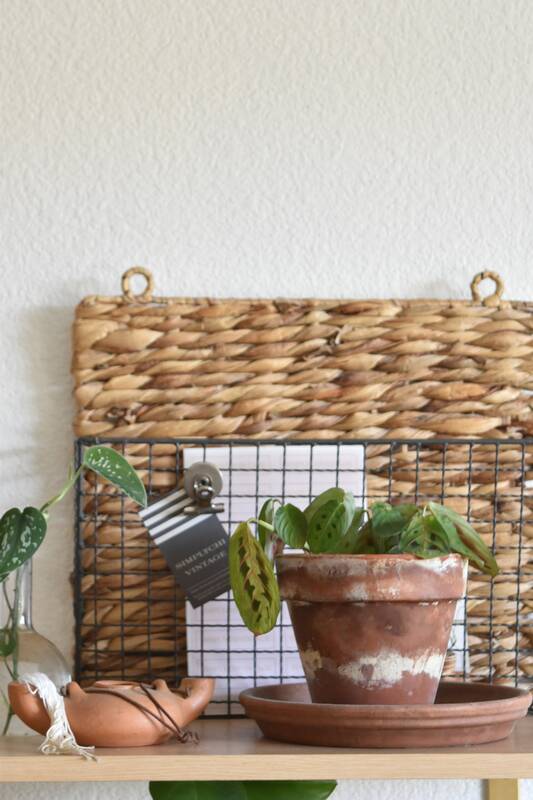 Originally had a label and decorative pieces, but I pulled everything off to give it a more simple modern look. 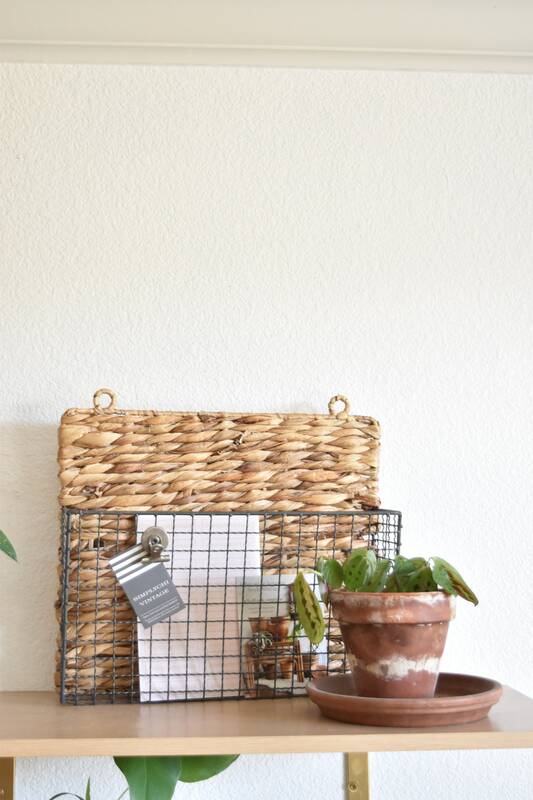 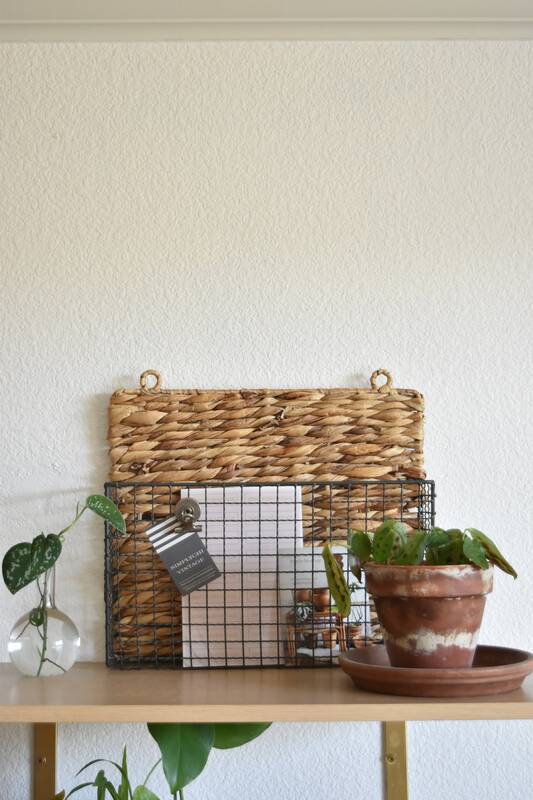 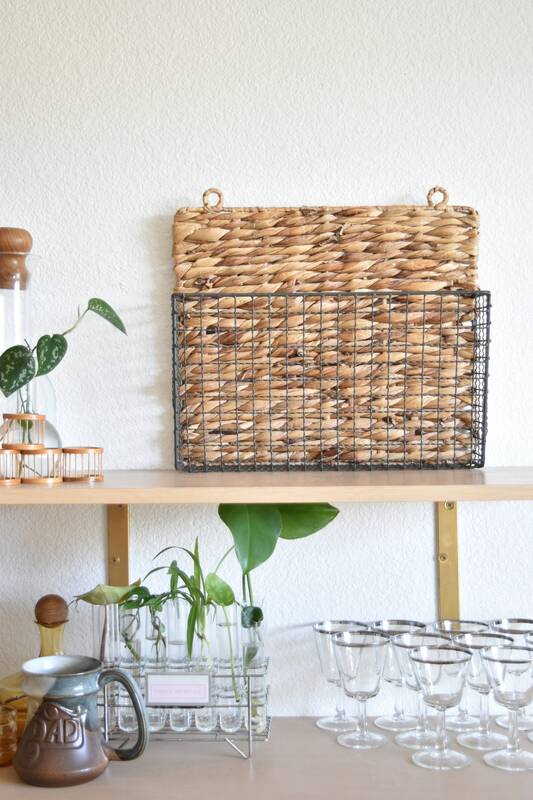 Great for storing mail, recipes, and even small plants. 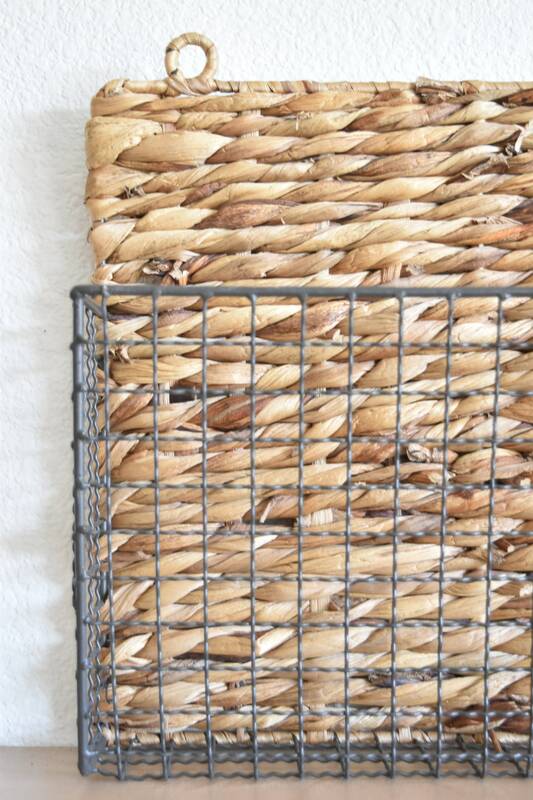 Has a metal frame with a straw weave. 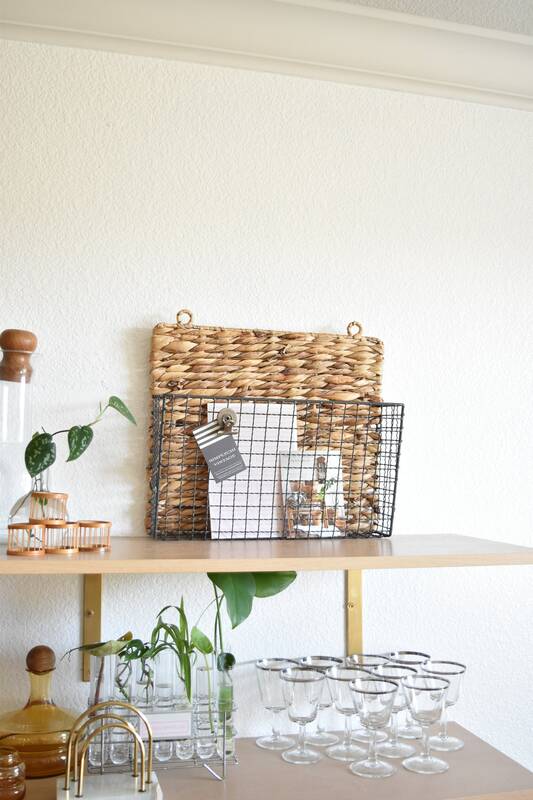 Very sturdy.